The Strasbourg court has found that Poland violated the European Convention on Human Rights due to its collaboration in the rendition, imprisonment and torture of two terrorism-suspects (Al-Nashiri and Abu-Zubaydah) by CIA officers. This judgment may be interpreted as an accusation against the US. But neither the ECtHR nor any international human rights' court has any jurisdiction over the assessment of individual complaints against the US. Therefore, individual cases can only be taken up against supportive countries such as Macedonia, Poland, Lithuania or Romania, but cannot be lodged against the major perpetrator. This is like punishing the fence, but not the real robber – because the latter is untouchable de iure and de facto. Looking more closely at these judgments of the European Court of Human Rights (Al-Nashiri v. Poland, application No. 28761/11, Abu-Zubaydah v. Poland, application No. 7511/13, judgments of 24 July 2014), Polish politicians may feel rather betrayed. Those who allowed for the secret CIA site on their territories could well have expected high levels of confidentiality and secrecy. That is why, when the first disclosures of the Polish CIA site appeared in 2005, the initial reaction was one of total denial. However, interest taken in these matters by international organizations, NGOs, media and detainees' lawyers, sooner or later resulted in further leaks and revelations. In the course of time, the feeling of betrayal by one’s US partners changed in character. Poland was simply left alone with the problem – due to the lack of any admission of guilt, apology or even slight cooperation on the part of US authorities – when domestic actors and European partners asked further questions. An atmosphere of shame, the obligation to continue to lie and the potential criminal responsibility of some politicians in this process, made things harder to explain or investigate. The Strasbourg court judgments, 240 pages long each, spelt out in detail, was a painful lesson. No reasonable person after reading them could deny the existence of the CIA prison in Poland. Too many details and specific facts created a complex picture of cooperation with the CIA. Polish authorities tried to undermine these judgments on the basis of procedural shortcomings. But this was more a sign of international despair than a method aiming at success. The second painful lesson was the US Senate report on CIA abuses disclosed in December 2014. Here, not only were facts revealed, but a lot of the dirty linen of diplomatic business was washed in public – money for the secret site, pressure from the US Ambassador to extend the capacity of the prison and to host the most important candidates for inmates, like Khalid Sheikh Mohammad. For some people this might bring back old times, when Soviets made similar not-to-be-refused demands. But the February 2015 final judgment of the ECtHR is in fact not the end of the story. The judgment has to be enforced. Poland has to pay 230.000 EUR to two detainees and their lawyers. Although, some populist politicians claim that paying this money is indirect sponsorship of terrorism, Poland will surely pay. Even Russia is paying for its Chechnya crimes. But judgments require more than money. Poland can only be said to have ceased the existing human rights violation, according to Strasbourg reasoning, once it has launched a comprehensive and transparent investigation into the whole episode of the secret CIA prison. Secondly, Poland has to call upon the US authorities not to execute the death penalty against Abd al-Rahim Al-Nashiri. Here, once again, the Polish authorities have to interact with the US. A full explanation and investigation of the case requires positive action on part of the US. But as of now, most of the legal assistance requests made by the Polish prosecutor to the US Department of State have simply been ignored. It is doubtful whether the Strasbourg judgment will change anything in this respect. To put it bluntly the US authorities do not have any interest whatsoever in cooperating with their Polish partners. They have indicated numerous times that CIA agents would be protected, including the perpetrators of torture. Moreover, the US may think that the galling job of political accountability has just been done – by preparation and disclosure of the US Senate report. Why on earth should anybody on earth require anything additional from the US? It is the US that sets the rules of the game. And this policy is named exceptionalism. But there is another side of this case. Poland simply may not want to put too much pressure on Americans. Human rights (including the full enforcement of the Strasbourg judgment) could be sacrificed at the altar of different diplomatic deals, e.g. the presence of US troops in Central Europe. In this context, awaiting diplomatic endeavours on the part of the Polish foreign minister in seeking to prevent the execution of Al-Nashiri seems like a fairy-tale. In consequence, Poland for the next couple of years will continue to take the bitter pills prescribed by European institutions, such as the European Parliament (which just renewed its investigation concerning CIA rendition) or the Committee of Ministers of the Council of Europe (supervising enforcement of the Strasbourg judgments). This painful treatment will continue just because Polish politicians have decided to violate the Polish Constitution and international treaties 13 years ago. They showed much more trust in the US-Polish alliance, than in any European legal and political obligations as members of the EU and the Council of Europe, where torture is absolutely prohibited. The CIA-prison story is the most important lesson served up so far for the twenty-fifth anniversary of democratic transformation in Poland. Polish politicians have learned by heart that they may as well give up on seekingraison d’Etat justifications of political decisions going against the black letter of the Constitution. At the end of the day, the consequences of such decisions have placed a burden on future governments and generations, undermining the citizens' trust in the state, its sovereignty and allegiance to human rights' values. This also shows that there is no superpower that is ready and willing to help one out if problems should arise. Extensive Polish international legal obligations will not cease to exist thanks to one call by Barack Obama coming to the rescue of Polish Prime Minister Ewa Kopacz. The final lesson therefore is all too simple and straightforward – trust no one but the law. This article was previously published on OpenDemocracy.net. 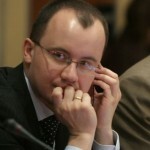 SUGGESTED CITATION Bodnar, Adam: Poland: trust no one but the law, VerfBlog, 2015/2/26, https://verfassungsblog.de/poland-trust-no-one-but-the-law/. "This painful treatment will continue just because Polish politicians have decided to violate the Polish Constitution and international treaties 13 years ago." This painful treatment does not need to continue if Poland would make sure the individuals who did this would be properly prosecuted. Illegal imprisionment is a crime in Poland too, so whoever agreed to the CIA prision and knew that it was used to house people in defiance of Polish law must now pay the relevant legal penalty.